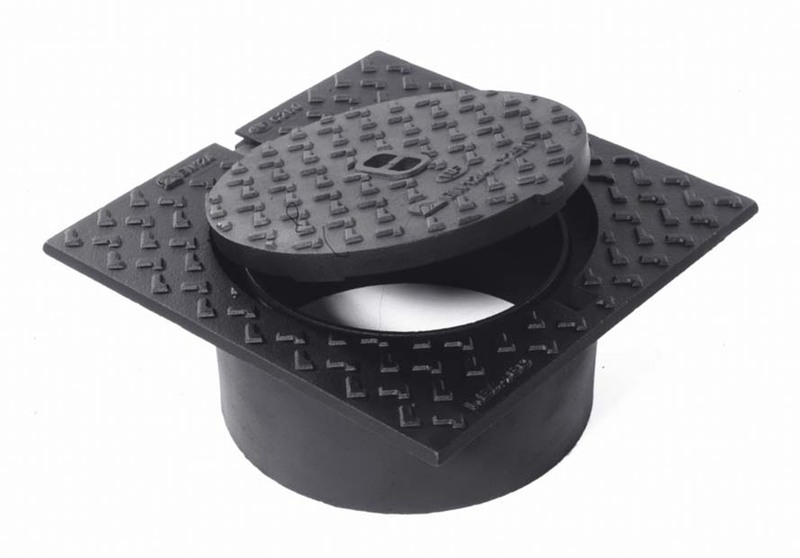 All products are available for the EN 124 test load classes A15 (light) to F900 (ultra-heavy duty): Our supply programme comprises the entire range of covers and inlet gratings conventionally described as "standard designs". In view of the large scope of our programme we here only show a selection of types and design variations. We remain at your disposal, however, to discuss your specific needs in a personal conversation. Please do not hesitate to contact us. 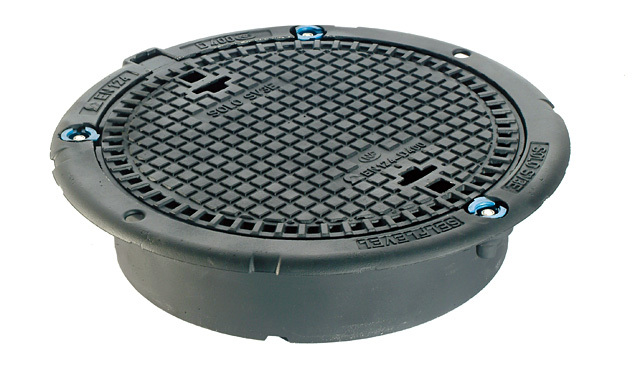 Round and square access covers of different dimensions. The available clear openings/inner frame widhts start at 175 mm and, so far, end at 900 mm. Top sections (i.e. 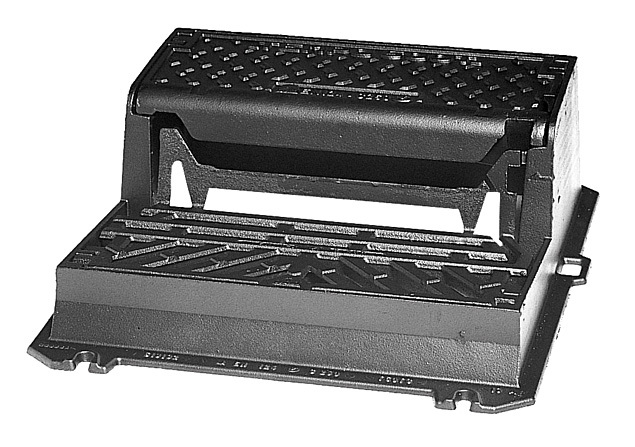 gully gratings) made of ductile cast iron are available in classes C 250 and F 900. 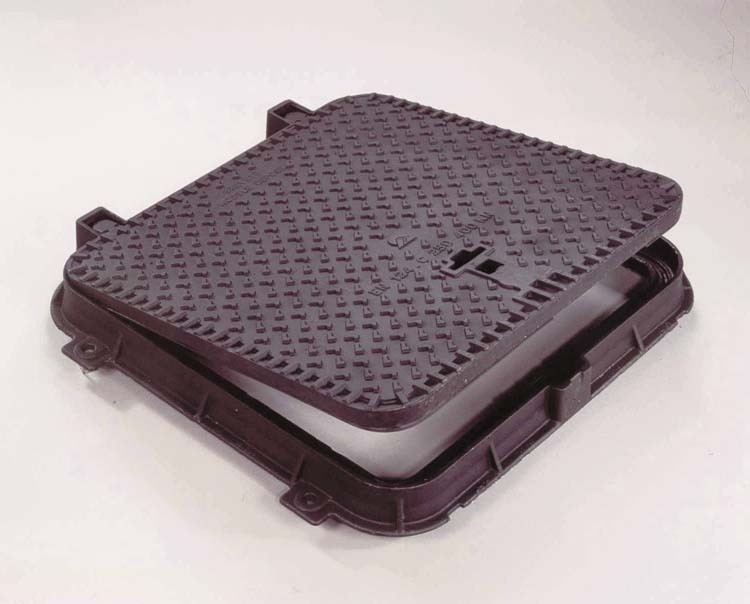 Besides top sections for "point drainage" we also offer top sections for "line drainage". 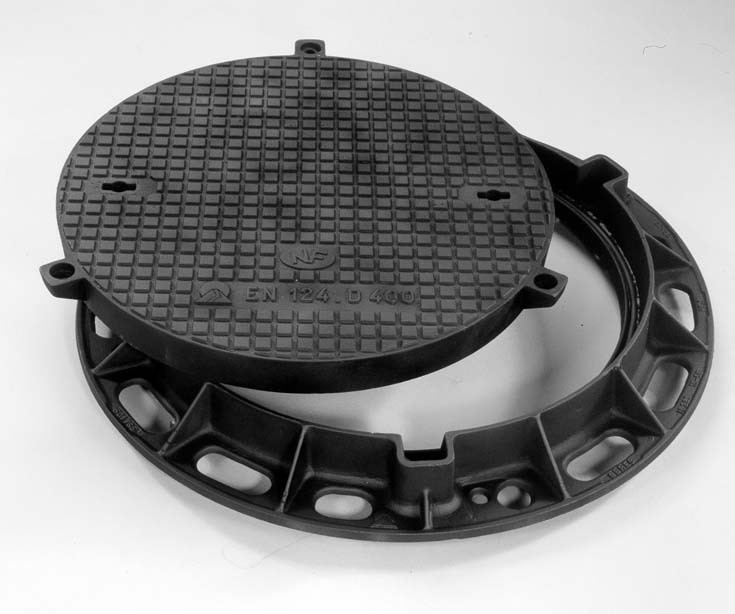 A notable aspect within our permanent endeavour for product development is the creation of construction castings which do not transfer the traffic load upon the shaft structure. 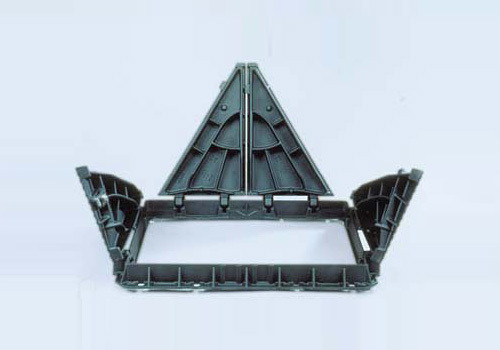 This effect is obtained by using self-levelling covers and top sections (load transmitted to road and absorbed by it).